1) The “Envy of Your Friends” Man Cave – Since the dawn of man, males have sought refuge from the stresses of daily life in spaces they can call their own. From a young age, they will use whatever materials necessary to build their fortress of solitude – from a super cool fort made out of sheets draped over a table and chairs, to a tree house constructed of scrap wood and emblazoned with the warning “Keep Out” in bold red paint. A basement offers the ideal space for a man to get away from it all – whether his man cave is designed for entertaining at a full-size bar with beer taps and flat panel TVs hung overhead, or as a supreme “sky box” with an enormous big screen TV at center stage and huge overstuffed sofas on which to watch sporting events to his heart’s content. 2) The “Rowdy Recreation” Room – Just as men may need a space to get away from it all, moms may need a space to send the kids to play and… well… be kids. Whether you have young children who would benefit from an enormous playroom with built in shelving, storage and craft spaces, or teenagers who would enjoy a safe hangout with their friends – complete with video games, pool table, foosball table, air hockey and refrigerator filled with snacks. 3) The “Happy Home” Office – As more and more adults are enjoying the benefits of working from home, the need for practical home office space is growing. Gone are the days of setting up a laptop on the dining room table – you need a dedicated space to work and create, separate from your home life so you can leave your work “at the office” by shutting the door at the end of the day. If your particular county or city ordinances allow, you may even be able to run a small business from your home. If you have a handful of employees on staff, this space can be converted to easily accommodate them – complete with cubicles, bathroom facilities and water cooler. You may even be able to write off a portion of this space on your taxes! 4) The “Majestic Theater” Media Room – For the family who loves movies AND entertaining, the ideal answer for the use of their basement space is to design a unique home theater. With the addition of risers, curtains, a projection screen, top-of-the-line sound system and popcorn maker – you may never go to the movies outside your home again. Roll out the red carpet and invite the neighbors down for movie premiers, or plan a sleepover your kids’ friends will NEVER forget! 5) “Love Your In-Law” Suite – With more and more elderly parents moving home to stay with the kids, some families are finding it a useful addition to transform their basement into an apartment complete with kitchen, bedroom, full bathroom and separate entrance. Your parents can enjoy a feeling of independence while living close enough for you to keep a regular eye on their health and well-being. When you finish your basement, you are adding useful livable space to your home. The plusses to this are that your family will have more room to spread out, a special space that fulfills your family’s needs, AND you will effectively increase the salability of your home in the future. A couple of changes to consider are the added costs to heat and cool this space, and increased taxes for adding livable square footage. 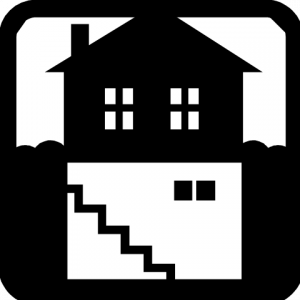 However, a recent survey by Remodeling Magazine indicates that homeowners can expect a return on investment of 75 cents on the dollar for basement finishing – so the good will typically far outweigh the bad. To begin the exciting design phase of your new finished basement, contact Highlight Home Restoration TODAY by calling 678-828-9234. You can also reach our talented team of designers and builders by e-mailing us at info@highlighthomesga.com or by filling out our helpful online contact form. The Sky’s the Limit – Adding a trey ceiling not only gives the impression of more headroom and a “loftier space”, but it also adds an opulent feel to any room. If your ceilings are already at heights above 9 and 10 feet, you may want to add coffers to give the ceiling more character and dimension. A Room With All the Trimmings – A category that can spans the spectrum from inexpensive to costly is decorative trim. From chair rails to baseboards to crown molding, the introduction of any of these elements to a sheet rocked room instantly transforms it from a basic box to a future study, library, dining room, any room you like. You can also experiment with different color combinations between your wall color and trim color based on your decorative style. Your Windows to the World – If adding an addition or closing off a space, windows and doors will play a vital role to the overall charm of the room. French doors, transoms and stained glass have always served to up the ante from basic builder-grade window and doors. This is an area where you can have some fun with shapes, too – making that new casement bay window with box seat the centerpiece of your room. Bottoms UP! – When finishing your basement, you are effectively adding a floor to your home. Instead of being a dank, dark space where moving boxes, old toys, broken appliances and spiders converge – you can transform this space to fit your family’s needs. If entertainment is what you have in mind, consider adding a wetbar as well as a media room for watching movies or the BIG GAME. Transform those ugly, but absolutely necessary support posts into graceful columns. 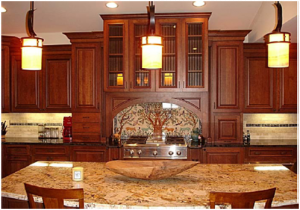 Pay Close Attention to the Selection of Materials – When planning a home renovation, there are certain high-end materials that convey a sense of luxury and refinement. 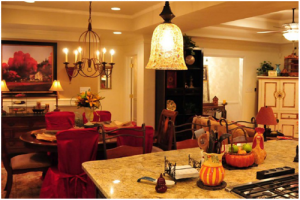 Items such as granite countertops, stainless steel appliances, Brazilian cherry hardwood floors, glazed maple cabinetry, ceramic and marble tiles, natural stone, polished nickel door knobs and drawer pulls, trendy to classic paint colors and ornate lighting fixtures can all serve to enhance the room you are renovating. In some instances, they may even MAKE the room. A very well-connected architect or building contractor may be able to find these elements at significant discounts. Make Sure You Cross That Finish Line – In order to finish off your room in a manner that befits the luxury elements you’ve assembled therein, you’ll want to do your homework by thumbing through interior design books and magazines, watching lots of interior design shows or hiring a gifted interior designer. With more than 20 years in the Southeast’s design and build industry, the friendly folks at Highlight Home Restorations are happy to point you in the right direction. A really good interior designer can help you pull all of the final pieces of the puzzle together – furniture, rugs, accessories, lamps, throw pillows, artwork and more. Did you know that many aristocratic early settlers to the New World tried to convey a feeling of luxury in their homes, as well? Short on high-end materials like marble, they would commission an artist to paint their wood mantles to LOOK like marble. Today, an imaginative and talented designer-builder can help you create a space that exudes elegance without breaking your budget. Highlight Home Restoration is proud to be among those that make up the “imaginative and talented” category! Infusing special luxury touches into our designs is just one of our many hallmarks. 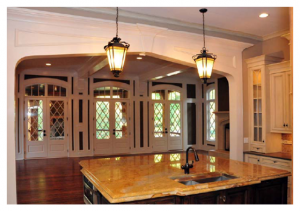 To begin your home renovation with a “touch of class” contact Highlight Home Restoration TODAY by calling 678-828-9234. You can also reach our talented team of designers and builders by e-mailing us at info@highlighthomesga.com or filling out our online contact form. Take Advantage of Tax Credits Before It’s Too Late! Did you know that the tax credits for eco-friendly home improvements and products end December 31, 2010? If you have been considering “going green” at your home or are in need of some basic home maintenance, you may want to take advantage of these tax credits right away – before it’s too late. These tax credits were first enacted in the Energy Policy Act of 2005, but were extended and expanded upon in the American Recovery and Reinvestment Act of 2009 (ARRA). Biomass Stoves – These stoves burn biomass fuel to heat a home or heat water. Biomass fuel includes plants, grasses, wood, wood waste, and more. Requires thermal efficiency rating of at least 75% as measured using a lower heating value. Heating, Ventilating, Air Conditioning (HVAC) – This category includes items such as advanced main air circulating fan; air-source heat pumps (good for moderate climates); central air conditioning; gas, propane, or oil hot water boiler; natural gas or propane furnace; and oil furnace. Visit http://www.energystar.gov to learn the requirements for each individual item. Insulation – Adding adequate insulation to your home is one of the most energy-efficient upgrades you can do. Insulation like batts, rolls, blow-in fibers, rigid boards, expanding spray, and pour-in-place can qualify, as can products that reduce air leaks like weather stripping, spray foam, air sealing caulk and house wrap. Make sure they come with a Manufacturers Certification Statement. Roofing – Metal roofs with appropriate pigmented coatings and asphalt roofs with suitable cooling granules that meet ENERGY STAR requirements are eligible for these tax credits. If you need a new roof, these qualified products reflect more of the sun’s rays, which can lower roof surface temperature by up to 100F. This will help decrease the amount of heat transferred into your home, and save you money on cooling your home. Non-solar Water Heaters – Gas, Oil or Propane Water Heaters OR Electric Heat Pump Water Heaters are covered under these tax credits. Conventional water heating can equate to 14-25% of the energy consumed in your home. Energy Efficient Windows, Skylights and Doors – When properly installed, these can help reduce energy bills. Installing storm windows and doors offers a less expensive alternative and can also improve energy efficiency as they combine with you current windows and doors to create a barrier between the interior of your home and the weather outside. Consumers who purchase these items for their CURRENT primary residence are eligible for a tax credit of 30% of their cost, with a cap of $1,500. Second homes, rental properties and new construction homes are not eligible for these credits. 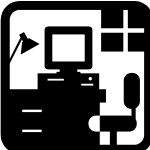 Often, installation costs are covered as part of the total cost of the product. Wind Energy Systems – A residential wind turbine collects kinetic energy from the wind and converts it to electricity that is compatible with your home’s electrical system. To qualify, your turbine must have a nameplate capacity of no more than 100 kilowatts. GeoThermal Heat Pumps – These use the earth’s natural heat to provide heating, air conditioning, and – in some cases – hot water go your home. They are among the most efficient and comfortable heating and cooling technologies available today. Solar Energy Systems – These include Solar Panels that capture light energy from the sun and convert it directly into electricity and Solar Water Heaters that use the sun’s thermal energy to heat water for the home. To qualify, at least half of the home’s energy generation must come from the sun. Fuel Cells – Thought to be the future of energy, fuel cells offer a cleaner, more-efficient alternative to the combustion of gasoline and other fossil fuels. To qualify, your residential fuel cells must offer an efficiency of at least 30% and have a capacity of at least 0.5 kW. Items that fall under those four categories are eligible for 30% of the total cost in tax credits with no upper limit, except for fuel cells which have a cap of $500 per .5 kW of power capacity. Rentals and second homes are NOT eligible for these credits, but existing primary residences and new construction homes are. To learn how to apply for these energy efficient tax credits, CLICK HERE. Highlight Homes and Highlight Home Restoration is committed to green building and quality construction – whether building a custom home from the ground up or renovating an existing home. It’s never lost on us that the materials we use, including the very framework with which we base our homes or home additions, are among some of our most precious natural resources. With our combined love of building fine homes and doing our part to protect the environment, Highlight Homes is most proud of our distinction for being a Green Builder. Aside from the great care we devote to developing special communities featuring an abundance of beautiful green space, Highlight Homes and Highlight Home Restorations also places a major emphasis on designing homes and home additions that reduce energy consumption and material waste. The benefit to the homeowner is found not only in their utility bills, but also in the comfort, durability and air quality of their home – effectively enhancing their quality of life. Our dedication to developing our own Earth-friendly initiatives and carefully following green building guidelines are an important piece of what sets us apart from other Atlanta builders. In order to become a certified Green Builder, certain criteria must be met and recognized by third-party certification programs such as Leadership in Environmental and Energy Design (LEED), the National Association of Home Builders (NAHB) Green Building Program, Energy Star and Earth Craft House. Highlight Homes has certifications from all four of these nationally and regionally recognized programs. 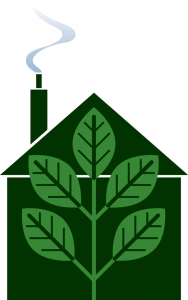 When you’re ready to go green, Highlight Home Restoration can help! It’s as simple as picking up the phone – call us TODAY at 678-873-9234. You can also reach our talented team of designers and builders by e-mailing us at info@highlighthomesga.com or filling out our online contact form. Act now before it’s too late! So many new and repeat homebuyers missed out on the homebuyer tax credits of $6,500 to $8,000 by not entering into a binding contract by April 30, 2010. While many have received an extension through September 30, 2010 to complete the purchase of their new home – if they didn’t have a signed contract by the end of April, they no longer qualify. REMEMBER – in order to meet the criteria for the energy efficient home improvement tax credits, you must have your products purchased and installed by the December 31st deadline to make a claim on your 2010 taxes.